Form plugins are vital to collect useful information from your users Hence, it is necessary to pick the suitable one. The primary concern of many WordPress beginners is the cost. Many prefer free Form plugins. Although you cannot get all the features in just a free form plugin, it will provide the basic features you need for a small website. Today, In this article, I will compare two free Form plugins namely WPForms and Contact Form 7. Before, getting into the comparison, I would like to clearly inform that WPForms is not a completely free form plugin. It is a Freemium plugin. Meaning, It has got Premium memberships too. But, for this comparison, we are going to consider only their free version. For the Premium version comparisons, check my article on WPForms vs Gravity Forms. Note: This is a Sponsored Post. I received a payment of $25 for this article. However, the contents of the review are completely based upon my opinion. If you want to review your product/service, then check my sponsored post pricing. What is the Contact Form 7 Plugin? Contact Form 7 is one of the oldest form Plugins for WordPress. It has crossed over 100 million installations over a period of time. That shows the popularity and importance of this Free WordPress Plugin. But, what about WPForms Plugin? WPForms is a Freemium Form Plugin started by Syed Balkhi and Jared Atchison. When Contact Form 7 was the only free Form Plugin with over a million installations, Syed Balkhi understood the importance and need for a free Form Plugin. Though Contact Form 7 is widely popular, it is not user-friendly as you need to use a lot of shortcodes. So. The idea of creating a user-friendly form plugin led the way for the evolution of WPForms. Being said that WPForms is a freemium plugin I am going to compare only the features of the lite version. So, let’s get started. With Contact Form 7, the user interface does not look good for beginners. Any beginner who wishes to create the form for the first time will need to spend some time to understand how to insert each field to the form. 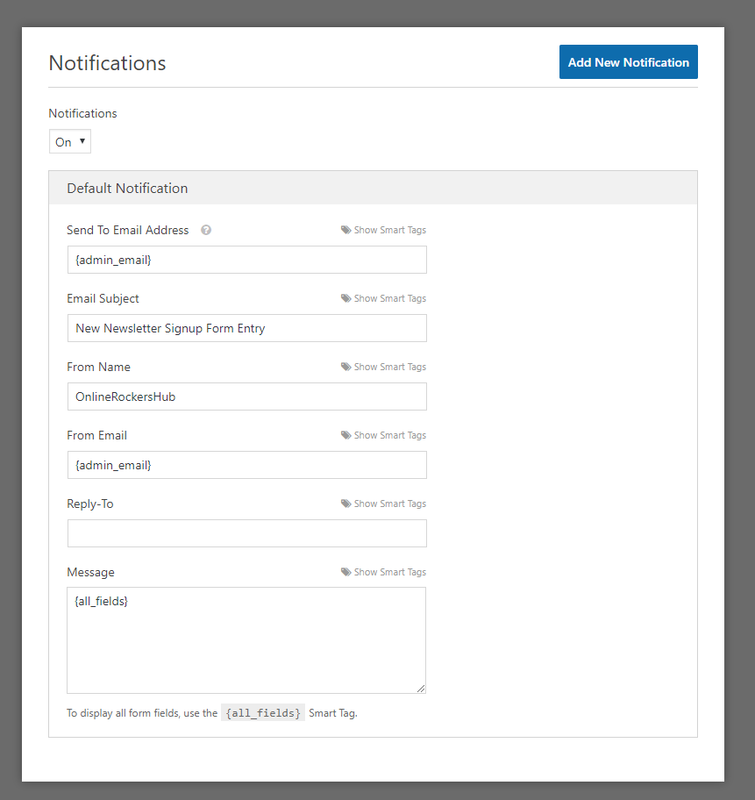 With Contact Form 7 plugin, you can set the success/failure message you want to display to the user when he submits the form. Also, you can mail the form response directly to your email address. However, you can never see the responses in your WordPress dashboard. Apart from these settings, you can use Additional settings. Here is a list of Additional settings you can add to Contact Form 7 plugin. When I say, WPForms is a user-friendly plugin, it starts right from the beginning of creating your form. Because even the lite version of WPForms has got some templates to use. And the standard fields available in WPForms lite is more or less similar to Contact Form 7. 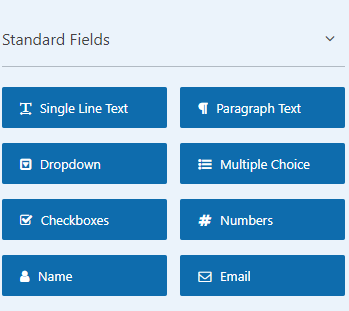 The fancy fields are available only in the premium version of WPForms. 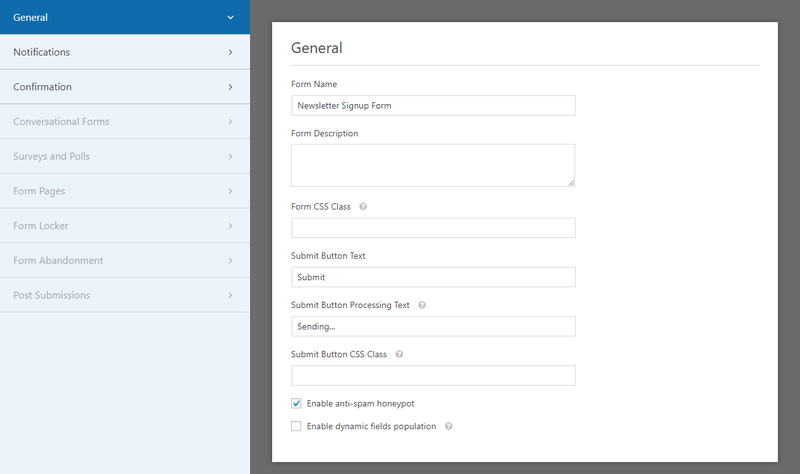 The best thing about WPForms is that it is a drag and drop builder. You can simply drag and drop the elements wherever you want. With the general settings, you can choose the CSS classes that you wish to add to your form. And you can set up email features to receive all the entries to your mailbox. Being a free plugin, Contact Form 7 allows two integrations namely Constant Contact and ReCaptcha. With Constant Contact integration, you can export the contact data collected from the users to your Constant Contact account, while reCaptacha protects your form from spam attacks. Just like the Contact Form 7 Plugin, WPForms allows you to export your form entries details to your Constant Contact account for free. The rest of the integrations are available as add-ons for the premium users. And the Anti-spam feature that was available in Contact Form 7 plugin can be accessed here under General Settings tab. The features of the free version of WPForms and Contact Form 7 plugin are more or less similar. WPForms is just better than Contact Form 7 plugin with the available templates feature and Drag and drop feature in designing the form. With that said, for all users who are looking for a Free Form Plugin and Beginner-Friendly, I recommend you to go with WPForms. If you like this comparison article, pin this. After my last Form plugin comparison with Formidable Forms and Gravity Forms, this time I have come up with yet another form plugin comparison. So, today I am going to compare WPForms and Gravity Forms to see which is the best form plugin and to see which one will suit your website. 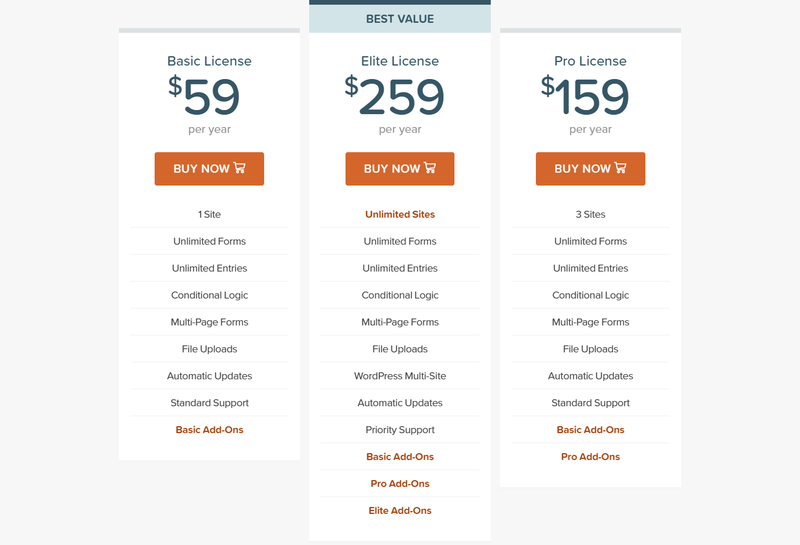 In this comparison article, I will be comparing the Features like Add-ons, Templates, and Pricing of both these form plugins. Note: This is a sponsored Post. I received a payment of $25 for this article. If you want me to come up with a sponsored post for your product/service, then you can check my sponsored post pricing. Maybe the next one could be yours. 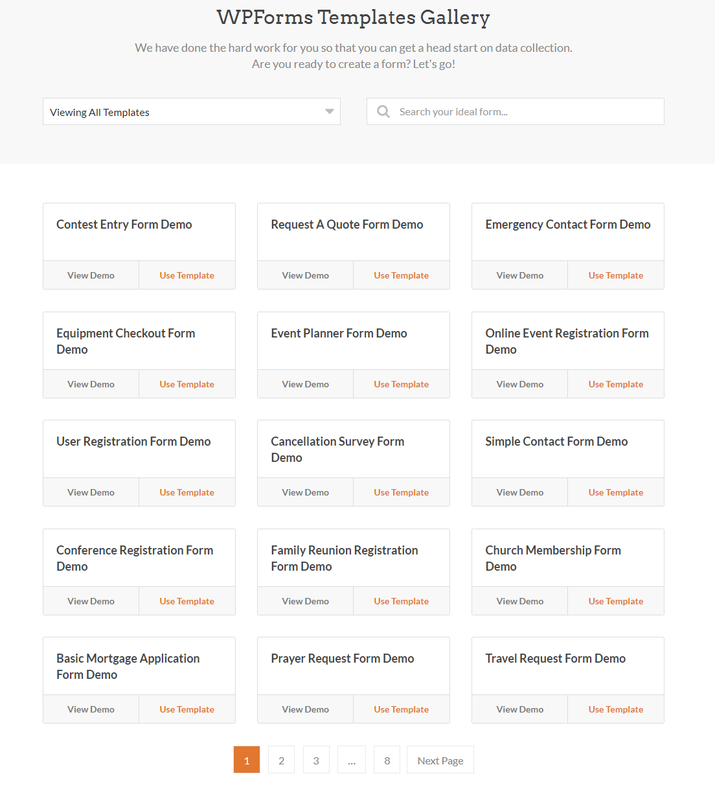 WPForms is a drag and drop builder founded by Syed Balkhi and Jared Atchison. In the earlier days of WordPress, it was only Contact Form 7, being the only free form plugin. After being the only free form plugin, it has got more than a million installations. But, the plugin was not of beginner friendly and lacked many features. That has sparked the idea for WPForms being a simple and user-friendly form plugin for beginners. This is a freemium plugin, i.e. we have got both free and Premium versions of this plugin. 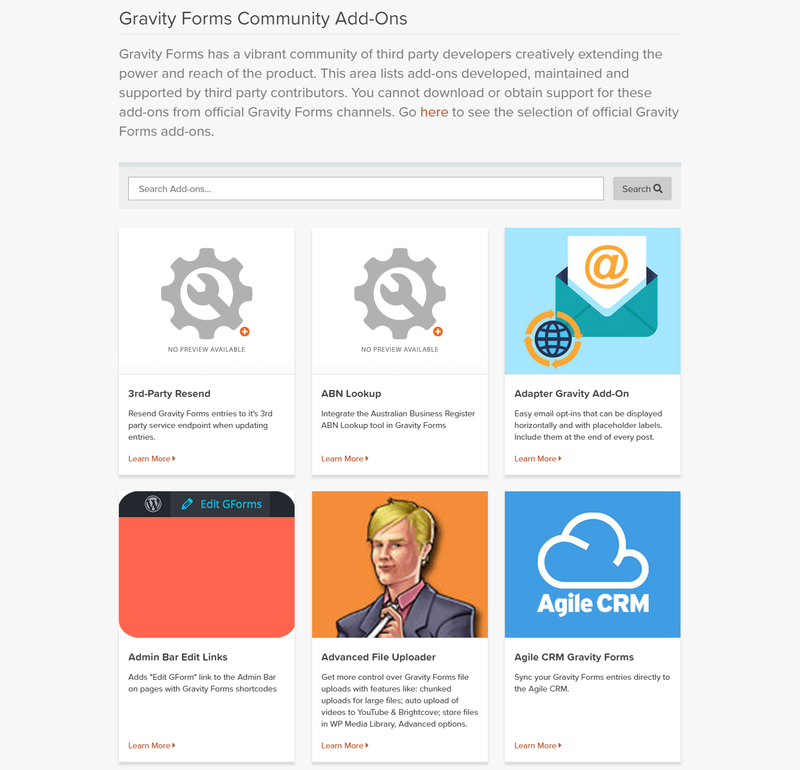 Gravity Forms is another classic WordPress Form Plugin. It has been servicing for more than a decade. But, unlike the previous plugin we discussed, this is only a Premium plugin. That is, if you are interested in trying out this plugin on your website, you need to purchase their membership. However, Gravity Forms has a demo feature. By signing up this form, you will get access to try out Gravity Forms plugin in one of their own staging websites. Both being powerful WordPress Form Plugins, we will find out which one is the best Form Plugin and compare their features. So, let’s get started with the comparison. The basic membership of Gravity Forms starts with $59/year and the elite version goes up to $259 per year. On the other hand, WPForms pricing starts at $49/year for basic membership and goes up to $349/year for Agency membership. Looking deep into what they offer for each membership, we can clearly notice that, the basic membership for both these plugins offer more or less the same features. But, the pricing for this basic membership is considerably affordable for WPForms than Gravity Forms. Similarly, Elite feature of Gravity Forms has integrations for payment processors like Paypal and Stripe. The similar features are available in the Pro version of WPForms itself. 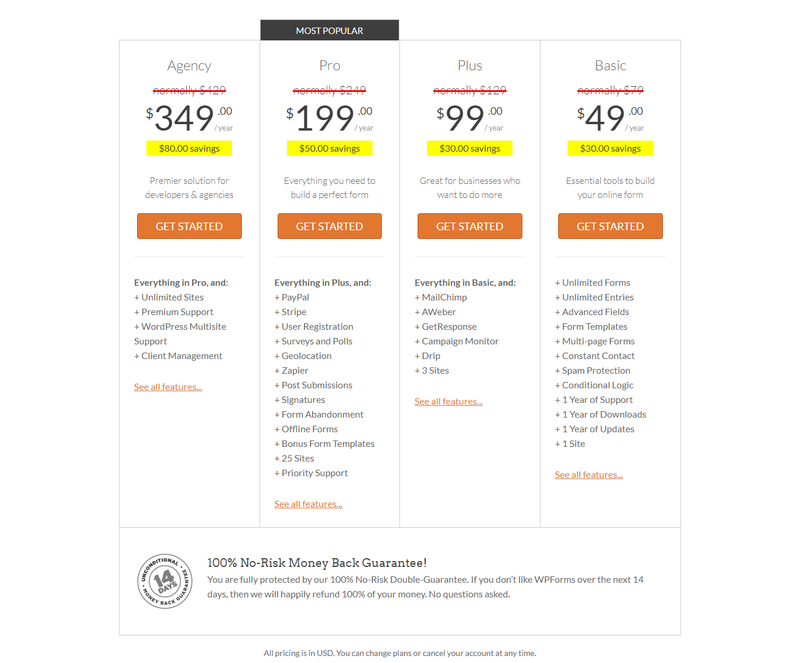 This Pro version of WPForms cost only $199/year while the Elite features of Gravity Forms cost $259/year. Therefore it is clear that WPForms is more affordable. Coming towards the integrations and add-ons part, Gravity forms has got 44 official add-ons. 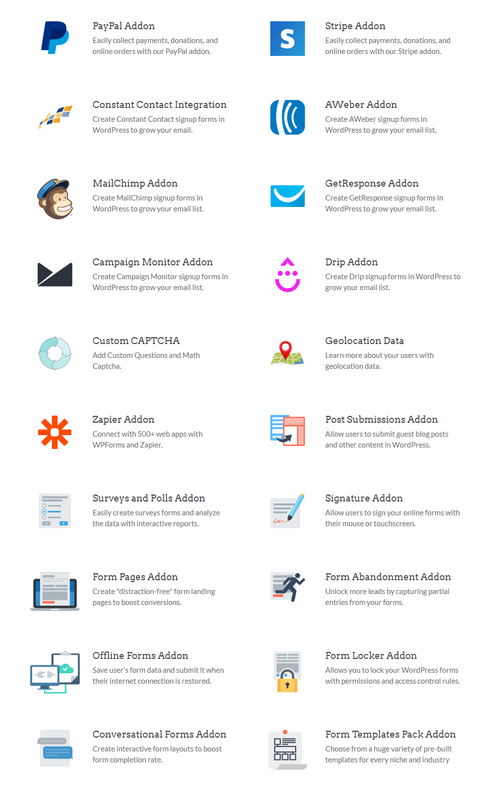 Apart from these add-ons, Gravity Forms has got a community where many third-party services offer add-ons. But, it is not the case in WPForms, you don’t have such a community for supporting add-ons from third-party providers. Also, they have got only 33 add-ons. So, coming towards the integrations and add-ons being offered, Gravity Forms offers more flexibility. The next feature that I am interested in comparing is the availability of templates. The reason is that it is very important. You should not be creating new forms each and every time. That will waste our valuable time. Gravity Forms usually come with the 13 default templates. However, you can create your template and can clone it for later use. The templates for WPForms come as Form Templates Pack add-on. By installing and activating this add-on you will get access to 100+ layouts. You can quickly search for the template you want here and use it for your WordPress site. With more user-friendly templates being available with WPForms, it is wise to go with it. If you are looking for an affordable form plugin and wanted to have access to a wide range of templates available, then buy WPForms membership. Also, have a look at some of my tutorials in this WPForms review. But, if you are in a situation, where you need some add-ons and features which are offered only by Gravity Forms but not WPForms, then you need to buy Gravity Forms membership. Because the number of integrations and add-ons available are incredible. You can have a look at some of their integrations here. This week, there was some controversy over the Jetpack plugin injecting itself into the in-dashboard WordPress.org plugin search results, including CTAs to upgrade to paid services (though they’re removing the paid CTAs after the attention, or because it was a mistake – you decide which). Beyond that, Wordfence and Jem Turner found some peculiar code in the Pipdig Power Pack plugin, and then WP Tavern wrote a really in-depth report putting everything together.